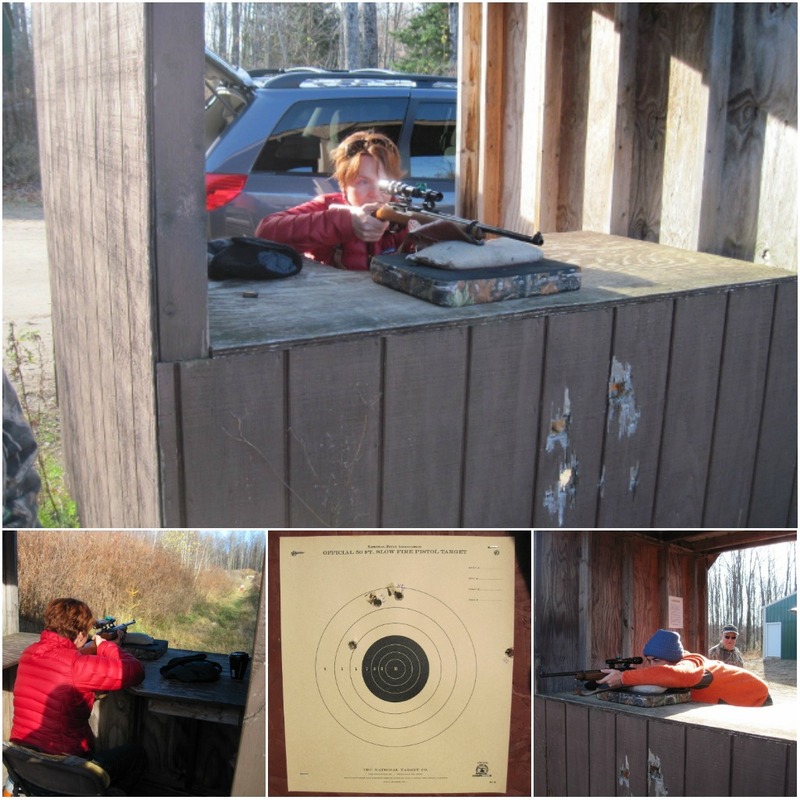 On my very first visit to my parents-in-law, I held and shot a gun for the first time in my life. Where I come from guns are illegal and public hunting is limited and considered elitist, to be honest. 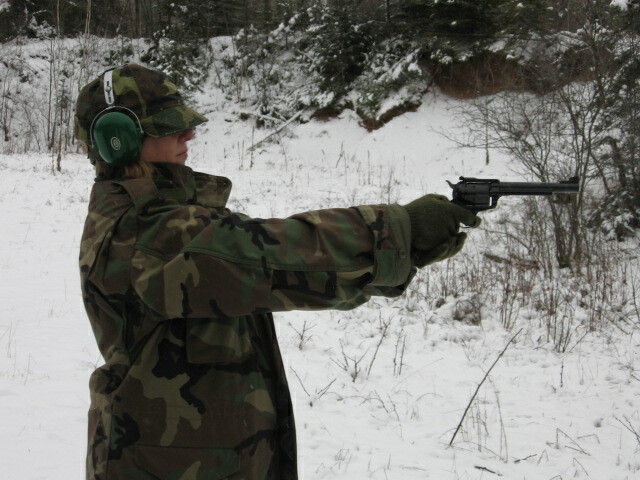 I shocked quite a few people back home when I included in my newsletter this picture of a five month pregnant me, wearing camouflage and sporting a magnum. Surprisingly I was a very good shot. I even out-shot my husband. Opening day of hunting season is coming up soon and this year I “chopped the knot” to use a Dutch expression and decided to join my husband, his dad, and his brother in the woods. Not to keep them company, no, I will have a stand of my own and a loaded gun by my side. Naturally I needed to practice shooting. Being a good shot five years ago with a handgun doesn’t mean I am a good shot today with a rifle. For all I know, it was the hormones controlling my aim. I needn’t have worried. I am still a good shot. Apparently it comes naturally to me. But this time Ryan out-shot me by half an inch. And we found out that being out-shot all those years ago by a pregnant woman with no experience stung a little. He is very pleased to have righted this wrong and now lovingly refers to me as “Number Two”. But I know deep down inside he is very proud of me. Of course, only time will tell if I can actually shoot a deer. Can't wait to hear about your experience afterwards. Have fun! My hat is off to you. I just have no inclination to do this. Popped in from SITS! You're such a good wife. I can shoot, but I don't hunt. How awesome are you! I'd love to go to the shooting range. Id love for you to check out my blog and follow along. Let me know if you do, Ill be sure to follow back!